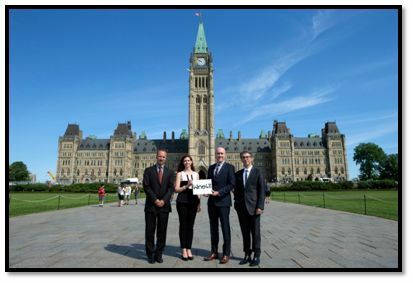 OTTAWA, ON--(Marketwired - July 17, 2014) - At their recent annual general meeting, the Canadian Vintners Association (CVA) announced the Wine411 joint project with BlackSquare Inc. to produce the first independent, national online directory of Canada's nearly 800 wineries. When completed in late 2014, Wine411 will deliver the first comprehensive, accurate and independent online directory of Canada's wineries, cideries and meaderies, from coast to coast. Wine411's user-friendly directory will be a resource for wineries, travellers and anyone interested in Canadian wineries and wine regions. The online directory will be updated annually, providing comprehensive information on winery contact information, production volumes, varietals, awards received and winemakers, as well as consumer-friendly data on visitor facilities, websites, wine clubs and unique features. Wine411's print-friendly design will further allow users to print all or part of the directory. "We are pleased to work closely with BlackSquare Inc. on developing Wine411," said Tony Stewart, CVA Chair and President of Quails' Gate Winery. 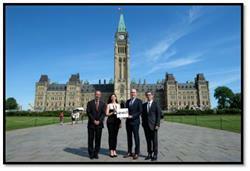 "Wine411 will help raise the profile of our vibrant Canadian wine industry. I expect this directory to become a go-to resource for a broad range of users." "Wine411 was an easy decision for BlackSquare. We work with wineries globally and know that every important wine-producing country enjoys some form of national winery directory," said BlackSquare's CEO Matthew Protti. "Canada currently has none, so we decided to apply our industry and technology expertise to meet that need. Happily, the CVA independently recognized the need for a national directory, so we joined forces." "Because wineries have been universally enthusiastic about the directory, we're able to gather authentic, accurate content for Wine411," said Protti. About this company BlackSquare Inc.